The high gloss silver Revive double panel designer radiator from Hudson Reed, bring a stylish simplicity to any room with the 1800 x 354mm revive designer radiator. Make a statement with our designer radiators, guaranteed to be the focal point of any setting. Hudson Reed provide luxury designer bathroom products at desirable prices, combining comfort and reliability with practicality and quality craftsmanship. 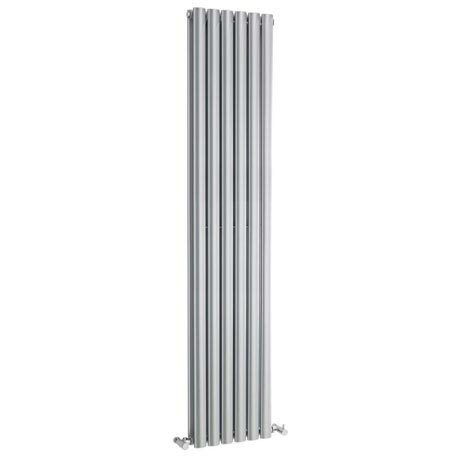 Hi, Thank you for your question, Yes the Hudson Reed Revive Double Panel Designer Radiator 1800 x 354mm - High Gloss Silver, is supplied with wall brackets. Not used yet as kitchen waiting to be installed so hopefully all Ok as left sealed for plumber to deal with.